The tech industry has a history of doing major layoffs too frequently and often badly. The reality is this can and should be avoided. Columnist Rob Enderle discusses why layoffs should be seldom used and how to do them right when necessary. Last week we had another mega layoff announced from a tech company that seems to have a history of doing these things badly. What is really frustrating for me is that there is a huge amount of work put in to understanding how these things should be executed, yet I don’t have a single company I can point to that seems to understand how to do a layoff right. The other frustrating thing is that layoffs should be a last and seldom-used tool used only for emergencies; instead it seems to be used regularly to spike the stock price or to adjust the bottom line. Let’s talk about why layoffs should be seldomly used and when done what process works best and why. A layoff is much like cutting off a limb. It is done to keep the body alive, but shouldn’t be done every time the patent is sick. This is because it often isn’t the right tool for the situation. For instance, if the company has lost its way a layoff won’t fix the problem. A layoff causes a number of new problems that are difficult to estimate. When you terminate a large number of employees you are sending massive amounts of information with them to competitors and you are likely alienating entire families of people who may have been loyal customers. With big layoffs, in particular, there is a high probability you will unintentionally lose a critical mass of skills. One layoff I was involved in resulted in one of the major lines the company made becoming non-viable because there weren’t enough people left to run things. As a result, production stopped until the firm could hire back a sufficient number of experts as consultants at much higher rates. Done badly, a layoff creates massive animosity and this can spread beyond family to the employees’ friends, and with social media, that impact in and of itself can be catastrophic. A big layoff runs the chance of effectively killing the company, has a massive amount of hard to measure consequential damages, it generally is a crappy way to treat employees who are the life blood of the firm, and thus it is something that should only be done as an absolute last resort not an annual or semi-annual process. I learned proper layoff execution from Jerry York who was instrumental in the Chrysler, IBM (while I was there) and Apple turnarounds. His process was brilliant. He would take all of the people that were to be laid off offsite where they were told their jobs were gone. 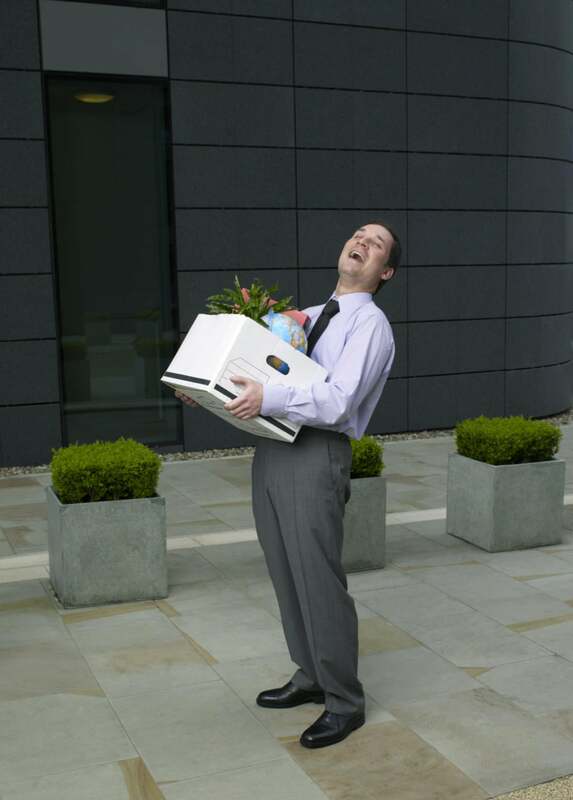 Security picked up all of their things and both were relocated to rented offices offsite for several months where they could focus on finding new jobs full-time. They were given access to headhunters, recruiters were brought in, and their salaries and medical coverage was continued during that time. The end result was the firm could get back to focusing on the business without the distraction of a lot of pissed-off employees. The laid-off employees appreciated the treatment and most didn’t leave hating the company (many actually were able to find jobs in different parts of the firm). The upfront cost is higher, but it is also contained. The way layoffs are currently done is very different. Rather than a sudden event they are announced well in advance, the people are left in place for up to a year, and the collateral damage is massive. It places folks who will get raised and bonuses right next to folks who are pissed, won’t even have a job, and are likely going to share their dissatisfaction with the entire process with other employees, customers, investors and any social media they are involved with. They also have a higher probability of acting out, which can range from minor theft to major embezzlement and even physical violence in extreme cases. So while it appears cheaper, the hidden costs could be massive and almost impossible to mitigate. Executives who use the more common latter process clearly are focused on the tactical visible expenses and have no concept of the higher strategic costs and collateral damage. I started out back when manpower management was a skill and managing people was more about science and research and less about compliance and filling out forms. This change is most noticeable in how firms do layoffs -- badly and often, instead of infrequently and well. The end result is that market impacts that force downsizing have a far deeper and more painful impact on the company and its employees than needs to be the case. There is a huge shortage of deep experts like Jerry York was and the end result is a lot of practices that focus on short-term visible costs and ignore the far larger crippling results of these bad practices. The most egregious of these are HR practices like stacked ranking and especially layoffs. Everyone has a choice of who to work for, one of the criteria should be whether the irmn demonstrates not only how well it pays, but how well it treats employees when it has to downsize. Firms that treat employees like obsolete hardware that can be abused and discarded likely should not even be your last choice when it comes to where you want to work. Why invest your career in a firm that demonstrates it doesn’t care for the folks that form its life blood?